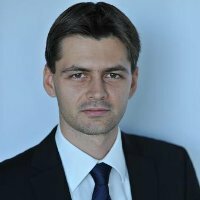 Director at KPMG in Romania, Gabriel manages and develops the KPMG Cyber Security Services which include Penetration Testing, Vulnerability Assessments, Security Audits, Internet Banking Audits, Technical Security Assessments and others. Gabriel has a master degree in Information Security and obtained OPST (by ISECOM), CISA, CRISC, CGEIT and MCSE Security certifications. Technical manager and leader of the Penetration Testing Team at KPMG in Romania, he has a broad experience from numerous penetration tests performed for KPMG’s clients, including infrastructure penetration tests, web application and mobile application penetration tests. Adrian has a PhD in Information Security obtained at the Military Technical Academy of Bucharest and – in his spare time – he teaches penetration testing classes at Politehnica University and at the Military Technical Academy. 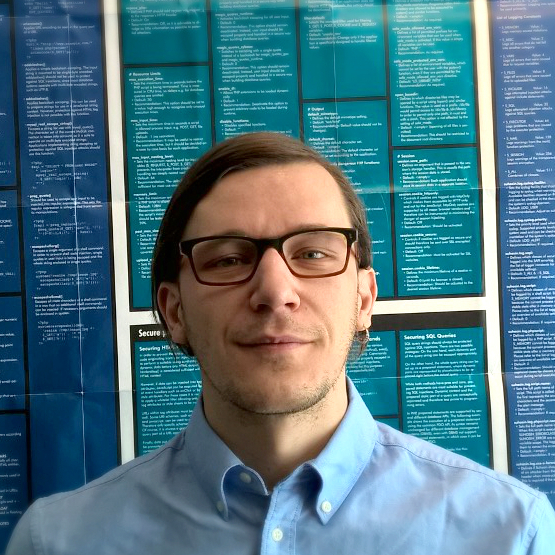 He also has the CEH and OSCP certifications and he spoke at multiple international security conferences: ZeroNights (Russia), Nuit du Hack (France), Hacktivity (Hungary), Hack.lu (Luxemburg), Hacknet (Finland), Defcamp (Romania), OWASP (Romania) and others. Security Consultant in the Penetration Testing Team at KPMG in Romania, he is passionate about web security, mobile and embedded devices. He is currently pursuing a master’s degree in “Information Management and Security” at University Politehnica of Bucharest. He likes to challenge himself by participating in bug bounty programs and the results are that several companies (including Red Hat, Twitter and Vimeo) recognized his efforts by adding him in their Hall of Fame pages. His latest work includes PhotoBear – a software that allows hiding information in images and his license thesis – “Securing the access to a premises using Bodycom technology”. Senior Security Consultant in the Penetration Testing Team at KPMG in Romania, he is most passionate about web application and network security. He currently holds the OSCP certification. He likes to challenge himself by participating in bug bounty programs and the results are that several companies (including Google, Microsoft, Adobe) recognized his efforts by adding him in their Hall of Fame pages. 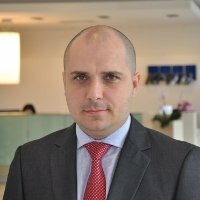 Senior Security Consultant in the Penetration Testing Team at KPMG in Romania, he is passionate about mobile application security, kernel reverse engineering and binary exploitation. Stefan has a master’s degree in “IT&C Security” at University of Economic Studies from Bucharest and is currently pursuing a PhD in Information Security. His latest research work includes his master’s degree thesis project defined as a utility tool and guideline that targeted the process of generating antivirus evasive executable by using code mutations. The project’s main focus was developing a software based on Python and C++ that is capable of injecting malicious shellcode inside PE files using multiple injection techniques. Petre is a former Security Consultant in the Penetration Testing Team at KPMG in Romania. He is most passionate about web application, network and infrastructure security. He is currently pursuing a master’s degree in IT&C Security at the University of Economic Studies from Bucharest. He is always ready to take on any challenge. He currently holds the OSCP and CEH certifications and likes to challenge himself with CTF tasks. 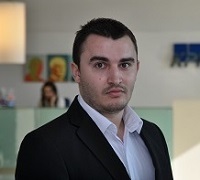 Ionut is a former member of the Penetration Testing Team at KPMG in Romania, now working for KPMG in Brussels. He is passionate about program analysis, systems security and cryptography. And he is always eager to interact with unfamiliar systems. He is currently pursuing a master’s degree in “Information Security” at the Military Technical Academy in Bucharest. Recently, he has been granted membership by the Syssec Project and has attended a summer school on mobile malware and another one on modern cryptography. Ionut is a former member of KPMG Romania’s Penetration Testing Team and a prolific blog post writer. He is passionate about ASM, reverse engineering, shellcodes and he has the MCTS Windows Internals certification. Ionut is also the main administrator of the biggest Romanian IT Security community: Romanian Security Team. During his work at KPMG Romania, he participated as a speaker at various security conferences: Defcon (USA), Defcamp (Romania), OWASP (Romania), Hacknet (Finland and Germany). Among the results of his recent research there is a SQL Injection in vBulletin 5, a tutorial about how to exploit a Stack Based Buffer Overflow, a Download & Load (DLL) shellcode and also a tool used to capture SSL/TLS traffic from Windows applications: NetRipper.